Unlike the Intel motherboards, the Front Panel Connector Header (JFP1) on the MSI H61M-P31 motherboard is not colour coded. The location and pin arrangement are shown below. 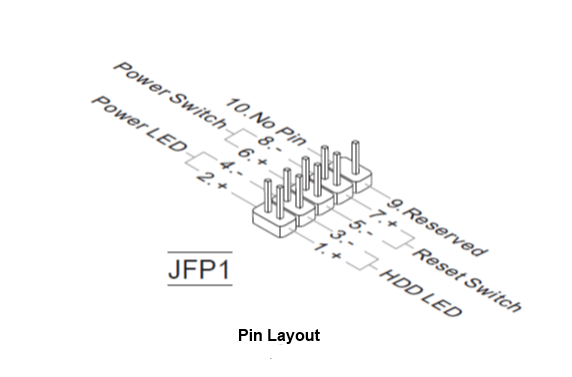 The JFP1 header is compliant with Intel Front Panel I/O connectivity design guide.